In the Disney film Mulan, the Emperor of China says, “The flower that blooms in adversity is the most rare and beautiful of them all.” Of course, he isn’t trying to reference Blur’s eponymous fifth album with this line, but he might as well be. Blur was a product of the mid-’90s, when the Britpop scene had just reached its peak level of cutthroat craziness. By this time, Oasis—Blur’s chief rival for years—had become a sensation in the United States, making Blur the apparent loser of the war between the two bands. On top of that, the tension between the four members of Blur was rising, mostly due to musical differences between lead singer Damon Albarn and guitarist Graham Coxon, who had developed an obsession with American rock music. The band was caught in a whirlwind of dissent and discomfort until Albarn decided to let Coxon have more of an influence on the band’s music. When the band reunited in the studio, Coxon brought along his American ideas and Albarn shared lyrics that were more personal than the character sketches that the band had sung in the past. 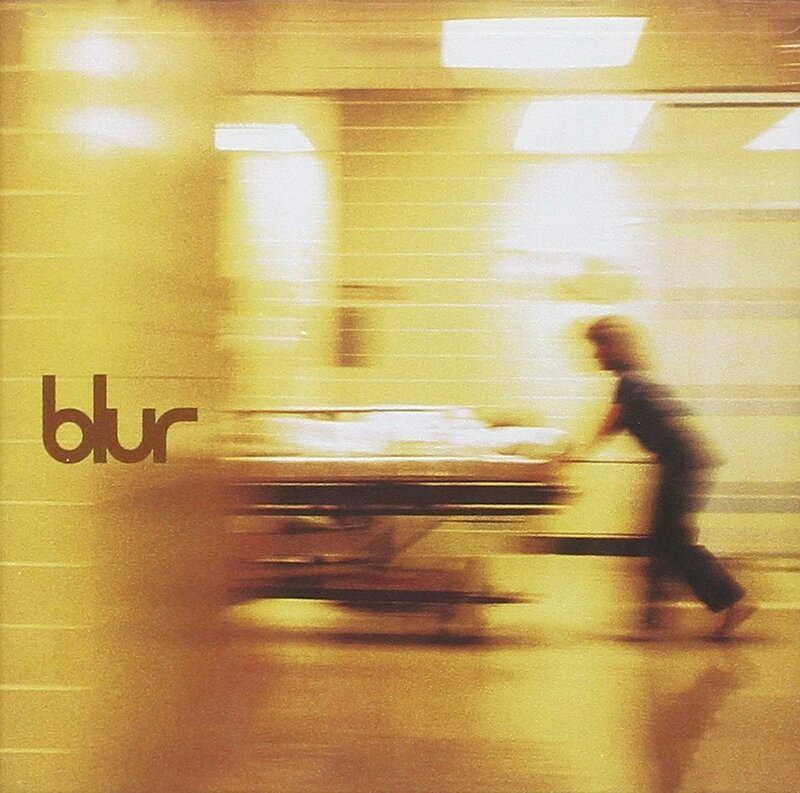 Hence, Blur is surprisingly raw and surprisingly experimental—an album that wouldn’t bore you even if you listened to it fifty times in a row. Sure, Blur sounds nothing like Parklife, but that’s not a bad thing. In fact, due to its originality, it just might be one of the best Blur albums, if not one of the best albums of the ’90s overall. Many of the most exciting moments on Blur happen when the band ventures far away from its Britpop roots. The prime example of this phenomenon is the hit single “Song 2”. Even if you’re not familiar with Blur, you’ve probably heard this song at least once in your life. Although it was designed as a spoof of grunge music, it quickly caught on as a lovable alt-rock anthem in the States—one of those tunes that thousands of people know without knowing what it’s called. Featuring a powerful drum intro, an iconic guitar riff, nonsensical lyrics about “jumbo jets” and “heavy metal” and the refrain “woo-hoo!,” it’s totally asynchronous with the rest of the band’s discography, but a totally addictive lisen. Also intriguing is “On Your Own.” Structurally, the song is a bit like “Charmless Man,” but that’s where the similarities end. The song’s electronic instrumentation, tone-setting backup vocals and jaunty beat foreshadow the work that Albarn would later do with Gorillaz, his next project, making it an essential track for anyone interested in Albarn’s musical journey. Another highlight on Blur is “You’re So Great,” a true testament to Coxon’s increased involvement on the album. This is the first Blur song written and sung completely by Coxon, and it does not disappoint. Consisting solely of gentle guitar strumming and endearingly unpretentious lyrics, it’s the antithesis of earlier Albarn-centered frenzies like 1992’s “Popscene,” but still a top-notch Blur jam in its own right. As simple as it is, the phrase “You’re so great and I love you” is the main source of the song’s magic, conveying both childlike wonder and maturity in its boldness. In addition to high-energy hits and feel-good ballads, Blur features a handful of subtle, introspective tracks that demonstrate the band’s songwriting power. One of these is “Death of a Party,” which feels a bit like a slow ride on a rusty carousel beneath an unsettling gray sky. In the song’s intro, ambient noises, moody-sounding riffs and haunting organ notes combine to create suspense. Then Albarn adds to the bleakness with haunting lyrics about regret, as well as a few jarring cries. Perhaps the song’s most memorable quality is its vagueness. Listeners are never told what caused the party’s demise—a heartbreak? an STD? some existential crisis?—so they’re free to fill in the blanks and come up with their own somber, symbolic narratives. Blur’s self-titled album marked the beginning of a new era for the band. This era wasn’t just about abandoning the sounds of Britpop; it was about championing collaboration, embracing the freedom to create without restrictions and learning to progress without having an identity crisis. It also set the stage for Albarn’s later project Gorillaz, which would impact the U.S. in a way that Blur never would. Fans should treasure their copies of Blur, the album that converted the band from an “out-of-style” pop act into a timeless legend.